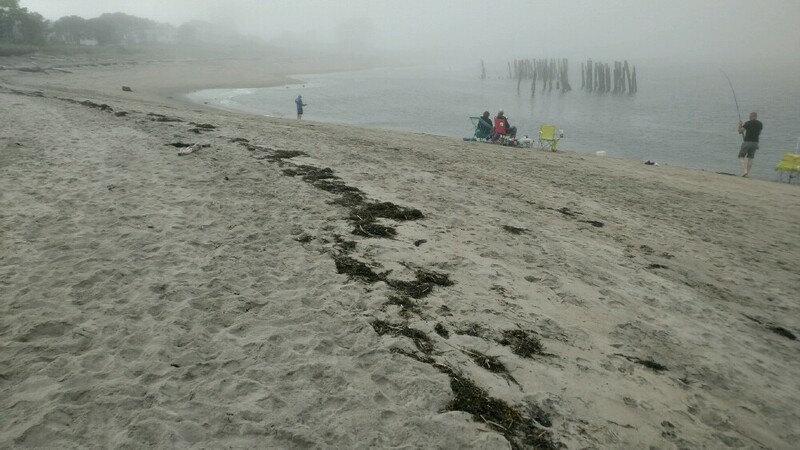 I figured it was worth a long shot to go have a second look for the lost engagement ring on Popham beach, despite it now being 3 days and 6 (8ft.) tide cycles. I can use the experience beach hunting. I did find a lot of good signals and here's what I turned up. A lot of recently dropped clean coins totaling $2.30. Most were found above high tide at the cut where the wet seaweed ends up. Some had brown crud on them that came off with a brass wire brush and an hour or so in my little National Geographic rock tumbler. 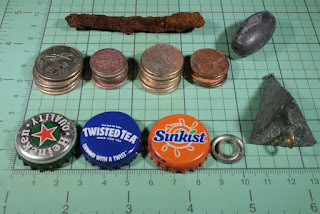 I also found a bunch of rotted "stinkin' Lincolns" in the wet sand that I had to toss. I met up with another Maine detectorist named Holly and this was also her 3rd day beach detecting and she also had the Garrett ACE 300 detector so we compared settings. I have been using max sensitivity with iron discrimination on the drier sand with good results. I am really enjoying "stealth mode" with the Z-Lynk wireless headphones and new PRO pointer AT Z-Lynk wireless pinpointer. No public beeping to disturb beach goers! Holly wears a white gold ring so she put it on the wet sand for a reading and got 38-9. We both were surprised, expecting a number in the low to mid 40's. She started off in the wet sand but got so many false signals that I suggested we both hunt above the high tide mark. It was a very foggy day but pleasantly warm. You can barely see Fort Popham in the distance in this shot even though it is less than 1/4 mile away. I kept getting hopeful every time I got a strong signal! Those lead fishing weights really got me excited for a minute there. I'd say I covered an area about the size of a football field over 2 days and about 6 hours of hunting. 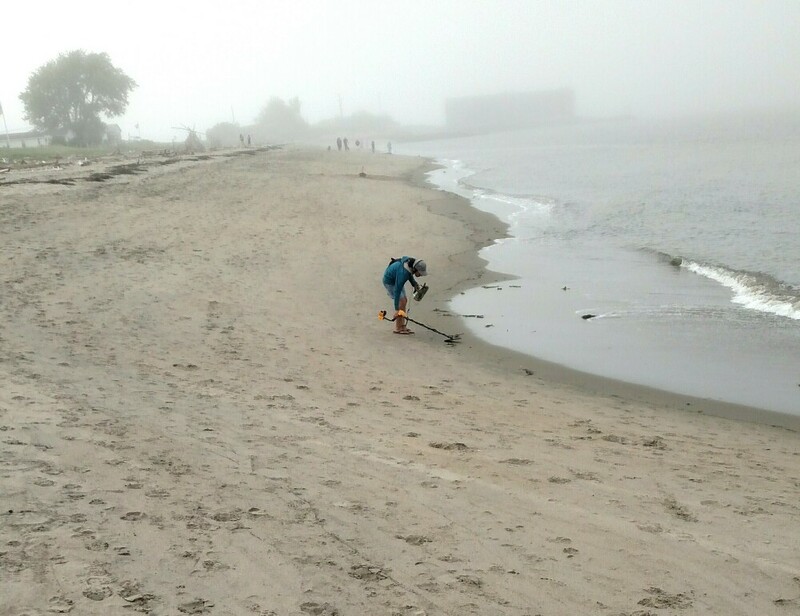 I learned a lot about beach hunting and where to look. Too bad we could not find that beautiful ring!